4G Athletic is a new approach and it is revolutionizing Boutique Fitness. 4G stands for 4 groups, meaning 4 different workouts that give you variety so you don’t get bored, all within 45 minutes. Our signature programs of Lift, Flow, Bike and Move are crafted by world class fitness experts and work together to provide a holistic approach to strength, flexibility, cardio and mobility training. HOW ARE 4G ATHLETIC WORKOUTS DIFFERENT FROM CLASSES OFFERED AT OTHER BOUTIQUE STUDIOS AND ATHLETIC CLUBS? 4G Athletic differs from other boutique studios and athletic clubs that we offer 4 different fitness disciplines all under one roof. We need balance in life as well as our workouts and that is what this space is designed to do. Cardiovascular conditioning, strength training, flexibility, mobility all within 4 walls. 4G Athletic offers a variety of workouts tailored to every fitness level, presented by the industry’s top fitness coaches creating an environment that is ALWAYS and NEVER the same so you can walk in strong and then walk out stronger! CAN I TRY A WORKOUT FOR FREE BEFORE I BUY A PACKAGE? Yes! 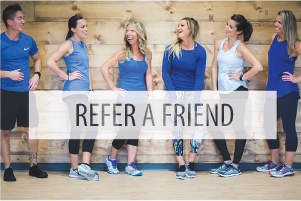 We would love for you to come in and try out your first class ON US! All we ask is that you register an account with us so we can get signed up for your first workout. As soon as you register online your free workout will show up on your account. Just so you know that one free session will expire within 30 days after you register so make sure you come in and sweat with us as soon as you can. Don’t know what class to start with? That’s ok, give something a go that sounds interesting and on the day of your first workout come 15 minutes early and we will walk you through the steps and answer any questions! IS THIS A MEMBERSHIP BASED STUDIO? At 4G Athletic we have both a membership option available as well as package based options. We are an all class based facility. You can buy your workouts in forms of packages or purchase a monthly membership. Monthly memberships start the day you purchase and run until the same day the next month and will be billed each month until you cancel. Visit the prices tab on our website for all the different options and don’t forget, the first workout is ON US! CAN I COME IN AND WORKOUT WHEN THERE IS NOT A WORKOUT GOING ON? We are a class based facility and therefore we don’t allow anyone to use the equipment or space outside of a workout class. That said, we offer workouts at a low cost at all hours of the day to help you get a great workout within your schedule. Absolutely, their first workout is ON US! Just make sure you have them register their account online so they can sign up for a workout. HOW OLD DO YOU HAVE TO BE TO WORKOUT AT 4G ATHLETIC? Clients must be 14 years or older to participate in workouts at 4G Athletic. Please note all clients who are 14-17 years of age must have a parent or guardian create their account online. At 4G Athletic there is no childcare. It’s one of the ways we are able to keep the cost of classes at a lower price point. No one under that age of 14 is allowed in 4G Athletic. We have 6 bathrooms and 3 changing rooms for your convenience. We also have a plethora of lockers for you to keep your belongings. Make sure you bring your own lock with you. Bags are NOT allowed in the studio. We don’t have Yoga Mats so make sure to bring your own! DO I NEED TO RENT OR BRING MY OWN CYCLE SHOES? We don’t have shoes to rent but no worries our bikes are designed for the regular shoe as well as the clip, come as you are! At 4G Athletic we highly suggest bringing your own towel from home. We don’t offer towels as it’s another way we are able to keep our price point low. WHAT SHOULD I EXPECT FOR EACH OF THE WORKOUTS? It’s always a good idea to show up 15 minutes prior to the start of a workout if it’s your first time. That way our coaches can help you feel comfortable and spend a little extra time talking you through the workout. HOW MANY CALORIES CAN I EXPECT TO BURN IN EACH WORKOUT? I HAVEN'T WORKED OUT IN A WHILE. WHAT IF I CAN'T DO EVERYTHING IN THE WORKOUT? We all have to start somewhere and you have found the right place! Each of our coaches are equipped with the knowledge to help you have the most success in your workout. Each workout is able to be progressed and regressed for any and all fitness levels. When you attend one of our 4 fitness modalities for the first time make sure you come 15 minutes early so we can answer any questions and make you feel comfortable. You can take a break whenever you need within the workout and the coaches are here to guide you and be your teammate to get you through. WHAT IS YOUR PURCHASE AND REFUND POLICY? Workouts and coach assignments are subject to change. Pricing is subject to change without notice. All workout packages and monthly memberships are non-transferable, non-sharable and non-refundable. HOW DO I RESERVE A WORKOUT? In order to reserve a workout you must purchase a package or monthly membership online. From this band of workouts you are allowed to choose between all 4 studio spaces. Please click on the prices tab in the top right side of our website. For safety reasons and to ensure everyone is properly warmed up before engaging in a workout, please be on time. It’s always a good idea to come early for your workout. 10-15 minutes is a good rule of thumb. Anyone who is more than 4 minutes late will not be admitted into the workout so as not to disrupt the other participants. Additionally, if you’re planning on leaving early, we kindly request that you tell the fitness coach ahead of time. Any vacancies will be given to wait list participants 4 minutes before the session begins. If you are unable to get into the workout you desire because it is booked, we highly recommend putting yourself on the waitlist. In order to be eligible for the waitlist you MUST have a package or drop in session on your account. If you don’t receive a spot in your desired workout, a credit will remain in your account for use on future workouts; the cost of the workout in not refundable. If a spot becomes available in the workout you have been waitlisted for you will be automatically enrolled in the class. You will receive an email confirming your enrollment into the workout from the wait list. Please take note that we assume you want to take every class you are waitlisted for. If you are no longer interested in a class that you are on the waitlist for you must remove yourself from the waitlist (online) or you risk being automatically enrolled and charged whether or not you attend. You may cancel up to 12 hours before your scheduled workout with no penalty. If you cancel within less than 12 hours a workout will be deducted from your package, if you have an unlimited monthly membership your credit card on file will be charged $6 for no showing for a workout or cancelling less than 12 hours prior to the workout. To cancel a workout, please log into your online account, and click the cancel button. IF I HAVE A MONTHLY UNLIMITED CLASS MEMBERSHIP, WHAT IF I BOOK CLASSES AND DON’T SHOW UP OR CANCEL LAST MINUTE? In order to preserve the value of classes for everyone, if you have an unlimited class monthly membership, you will be held to the same cancellation policy as someone booking with a package of classes. Those with an unlimited monthly membership will be billed $6/class reservation missed on their credit card on file if cancelled less than 12 hours from the start of class. To cancel a workout, please log into your online account, and click the cancel button. DO MY WORKOUT PACKAGES EXPIRE? All packages are good for one year from the date of purchase or unless specified otherwise. HOW DO I END MY MONTHLY MEMBERSHIP? To cancel a monthly membership, please log into your online account, and navigate to MY ACCOUNT and on to CANCEL MEMBERSHIP. Please note memberships will be need to be cancelled a minimum of 2 business days (Monday-Friday) prior to the start of your next month’s charge. WHAT IF I HAVE CLASSES SCHEDULED BEYOND MY MONTHLY MEMBERSHIP CANCELLATION DATE? If you have classes booked beyond your membership cancellation date, it is your responsibility to pay for those bookings or cancel them per our class cancellation rules. If classes are not cancelled or paid for, you will be billed $20/class for those classes. WHAT KIND OF HEART RATE MONITORS CAN I USE FOR THE MOVE WORKOUT? We sell our own HR monitor on our online store but the system we use for our MOVE workout will accept Polar H7 and H10. For BIKE the center console will allow you to connect your heart rate to the equipment, that said it must be Ant+ and/or Bluetooth. ARE HEART RATE MONITORS ALWAYS 100% ACCURATE? While heart rate monitors are a great training tool to utilize during a workout, there are inherent limitations with the technology that may cause some of the heart rate reading to be inaccurate. Some circumstances that can influence the readings are, but not limited to, the user’s physical characteristics, the fit of the device and the type of intensity of the exercise routine or activity. We are a class based facility and therefore we don’t allow anyone to use the equipment or space outside of a workout class. That said, we offer workouts at a low cost at all hours of the day to get help you get a great workout within your schedule. It’s always a good idea to show up 10 minutes prior to the start of a workout if it’s your first time. That way our coaches can help you feel comfortable and spend a little extra time talking you through the workout. We sell our own HR monitor on our online store but the system we use for our MOVE workout will accept Polar H7 and H10. For BIKE the center console will allow you to connect your heart rate to the equipment, that said it must be Ant+ and or Bluetooth. At 4G Athletic you only pay for the workouts you do! We are an all class based facility and no membership is required. You can buy your workouts in forms of packages, visit the prices tab for all the different options and don’t forget, the first workout is ON US! Clients must be 14 years or older to participate in workouts at 4G Athletic. Please note all clients who are 14-17 years of age must have a parent or guardian sign a waiver on site at our studio. Users trying to book a workouts online for a minor will not be allowed to reserve a spot in a workout through the website, you must come into 4G for the first booking. You can share your package but the person you share with MUST have their own 4G Athletic account. Workouts and coach assignments are subject to change. Pricing is subject to change without notice. All workout packages are non-transferable and non-refundable. In order to reserve a workout you must purchase a package online, from this band of workouts you are allowed to choose between all 4 studio spaces. Please click on the prices tab in the top right side of our website. For safety reasons and to ensure everyone is properly warmed up before engaging in a workout, please be on time. It’s always a good idea to come early for your workout 10-15 minutes is a good rule of thumb. Anyone who is more than 4 minutes late will not be admitted into the workout so as not to disrupt the other participants. Additionally, if you’re planning on leaving early, we kindly request that you tell the fitness coach ahead of time. Any vacancies will be given to wait list participants 4 minutes before the session begins. You may cancel up to 12 hours before your scheduled workout with no penalty. If you cancel within less than 12 hours a workout will be deducted from your package. To cancel a workout, please log into your online account, and click the cancel button. Please fill in the form below and we will be in touch soon!